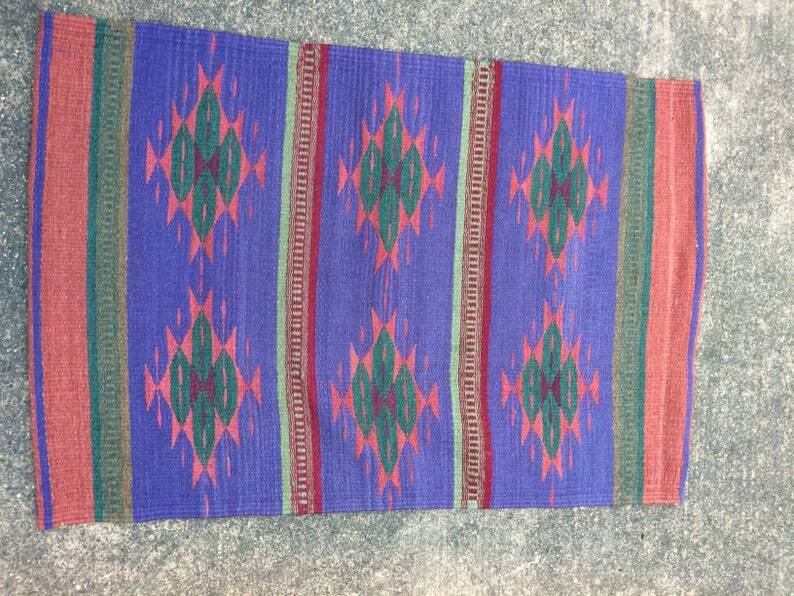 Handwoven Navajo wool rug. I rescued it from an estate sale. Great condition. The estate sale dealer said they took it to an appraiser to verify that it was Navajo and the guess was it was made in the 70's. I seek out these rugs as I don't want them ending up being tossed out at the end of an estate sale. These are too much of our heritage. They need to be saved, used and treasured. No fringe for those of you who don't like fringed rugs. 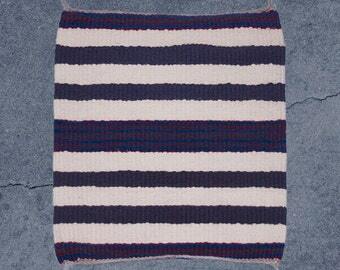 Measures 34.5" by 24"